Botting is the most serious infraction a capsuleer can commit. This is the only EULA-violation that overlaps with New Order enforcement, as it is unrealistic for CCP to catch all players engaged in such activities. Some characteristics of a bot fleet may include but are not limited to: identical ship fits, bot-like naming scheme (miner1, miner2, miner3, etc...), lack of response to attempted player interactive (convo's, attacks) while performing in-game actions such as switching mining laser targets or catching warp, reported intelligence of irregular behavior, etc... Such fleets can be miner fleets, freighter fleets, incursion fleets, mission fleets, or any other form of ISK income that can be botted. 1A: Capsuleers are prohibited from using bot programs. New Order agents that come upon obvious bot fleets will make an immediate attempt to vaporize as many of the bot ships as possible. Grouping with additional agents to inflict maximum damage is encouraged. Further reporting of bot-like activity to CCP is also heavily encouraged. Any permit holder(s) engaged in such activities may have their permit(s) revoked at the discretion of the agent, since a pledge to follow the Law of Highsec is invalidated if the Law is subsequently violated. Bot-aspirancy is nearly as serious as botting, and is responsible for the majority of ISK inflation. Though the scale varies, the crime is always defined the same: playing away from keyboard/client. To quote straight from The Code: "[capsuleers] should strive not only to avoid botting, but to avoid even the appearance of botting." This is especially important because as mentioned in the preface and foundation to the Law, criminal identification must be streamlined if the Law is to be reasonably applied to the whole of the region. 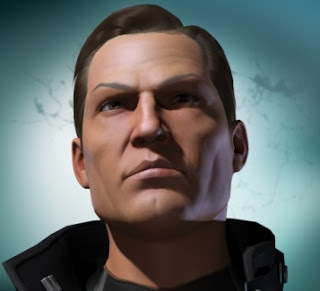 The best way a capsuleer can prove he is at his keyboard/client working diligently for his ISK is to greet agents as they enter local and warp away if he notes incoming agents on his D-scan. Failure to do so may be interpreted as being away from keyboard/client. Similarly, autopiloting or remaining on gate or in space AFK is suspiciously bot-aspirant behavior and is forbidden. Bottom line: if a capsuleer needs to step away from his client, he should dock up. 2A: Capsuleers are prohibited from Mining AFK. This includes the appearance of mining AFK by the aforementioned parameters. 2B: Capsuleers are prohibited from Hauling AFK. This includes the appearance of hauling AFK by the aforementioned parameters. 2C: Capsuleers are prohibited from AFK PVE Combat. This includes running missions AFK by the aforementioned parameters. 2D: Capsuleers are prohibited from Loitering AFK while in Space. 2E: Capsuleers are prohibited from autopiloting. After reasonable efforts have been taken to determine whether a potential bot-aspirant is vigilantly following the Law or whether snoozing at the helm, agents will make an immediate attempt to vaporize as many guilty ships as is possible. Grouping with additional agents to inflict maximum damage is encouraged. Any permit holder(s) engaged in such activities may have their permit(s) revoked at the discretion of the agent, since a pledge to follow the Law of Highsec is invalidated if the Law is subsequently violated. It is also highly recommended that the agent conduct a follow-up with the capsuleer to brief him of the events that took place after the gank is conducted. This can be done in the form of mail or convo. "Just so there is no confusion, every freighter and jump freighter found in highsec without a mining permit is subject to immediate termination. Yes, even if the freighter is empty. Yes, even if it's not anti-tanked. Yes, even if the pilot is at his keyboard. Get a permit." 3A. Capsuleers are prohibited from participating in mining without a permit. 3B. Capsuleers are prohibited from participating in hauling without a permit. 3C. Capsuleers are prohibited from participating in PVE Combat without a permit. Agents encountering illegal mining, hauling, or PVE combat will immediately decommission the illegal equipment in use. A follow-up is strongly recommended to remind the capsuleer of the Law of Highsec and to try and sell a permit. At the discretion of the agent, if a gankee shows violent hostility after being ganked that does not quickly subside, he may be reported as a potential White Knight and marked for future corrective actions. Note that once a criminal is caught mid-crime, he cannot purchase a permit to save himself from impending punitive actions. He must purchase before he is caught. Once he is punished, he will be allowed to atone by purchasing a permit and becoming compliant. 4A. Capsuleers are prohibited from station camping New Order Agents. This includes at the agent's undock to prevent him from warping to target, or at the agent's dock to attempt to destroy his capsule. 4B. Capsuleers are prohibited from protecting known criminals. This includes by aggressing an agent openly in space or by repairing known criminals via logistics. 4C. Capsuleers are prohibited from slandering the CODE, New Order, or Law of Highsec. This includes twisting or misrepresenting information in attempts to convert innocent bystanders to criminally violent or insurgent perspectives. This can occur in any in-game chat, or in forum or channel outside of client. While there are ways to avoid White Knights and still deliver justice to the guilty (via insta-undocks, insta-docks, etc. ), it is encouraged to occasionally remind them that the New Order is (and always will be) more powerful than they are. Those with justice and righteousness on their side have always had to sometimes stomp those with the will to oppress and destroy order. No White Knight who takes violent action against an agent or slanders the CODE, New Order, or Law of Highsec, is allowed to purchase a permit until they have sufficiently repented their ways, at the discretion of the agent. Furthermore, such White Knights should be reported to CODE. Alliance diplomats so their standing can be set to negative for future destruction. NOTE: The attempt to "whore" on agents alongside CONCORD to gain bounty or a killmail, while frowned upon, is not considered White Knighting if the intent to disrupt the gank does not exist and if the "whoring" does not interfere with Law enforcement. The agent may still retaliate at their discretion though, and does so within their rights as a free capsuleer if they so choose to. Occasionally an insurgent will go below and beyond and enter into a new tier of criminal behavior. This includes any attempts to subvert the New Order at the strategic level through espionage or other methods, the attempt to gather White Knights into an organized resistance, or anything else deemed critically threatening to overall health of Highsec. 5B. Capsuleers are prohibited from organizing resistance to the New Order. 5C. Capsuleers are prohibited from threatening the sanctity and health of Highsec. If capsuleers are deemed to be too dangerous to handle with individual ganking tactics, it may be necessary to "Go Nuclear" and refer their case to the New Order Ghosts for immediate and utter destruction. Anchoring objects in space without a permit can only contribute to bot aspirancy. There is no good reason a capsuleer should engage in such activities without seeking approval from an official New Order agent. 6A. Capsuleers are prohibited from anchoring player-owned-stations (or POS for short) without a valid permit. 6B. Capsuleers are prohibited from anchoring mobile units such as (but not limited to): Mobile Depots, Mobile Tractor Units, etc. Agents who encounter illegally-anchored devices should attempt to decommission the equipment and confiscate any contents found inside. Eve Online is a family-friendly environment and polluting the public channels with obscenities and filth is contrary to the order, peace, and harmony required of the Peoples of New Eden. Even if it is not slanderous to the New Order (See Subsection 4), it is harmful. 7B. Capsuleers are prohibited from linking external sites containing the aforementioned properties in public chat channels. Agents who encounter capsuleers using profane language should warn the offender in local to keep it clean. Further violations should result in a petition quoting the offender's inappropriate logs.